Neighborhood Bike Works is encouraging eco-friendly transportation and exercise by selling bikes for cheap every Friday in July. Looking for a way to swap your gym routine for a little exercise in the great outdoors? Well, Neighborhood Bike Works is giving you an incentive to trade the stationary bike for a street model. 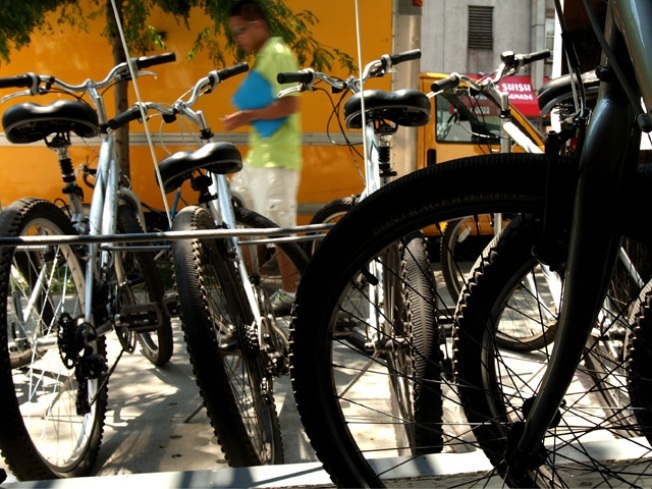 Every Friday in July, they are having a bike sale from 2 p.m. until 6 p.m. at 3916 Locust Walk on University of Penn’s campus. Prices start at just $30 and offer a variety of used and refurbished bicycles. Neighborhood Bike Works is a nonprofit educational organization dedicated to the urban youth in Philadelphia. The group's goal is to promote an eco-friendly way to enjoy the city. So, leave that AC behind and enjoy the beautiful outdoors with a new (as in new-to-you), inexpensive bike.